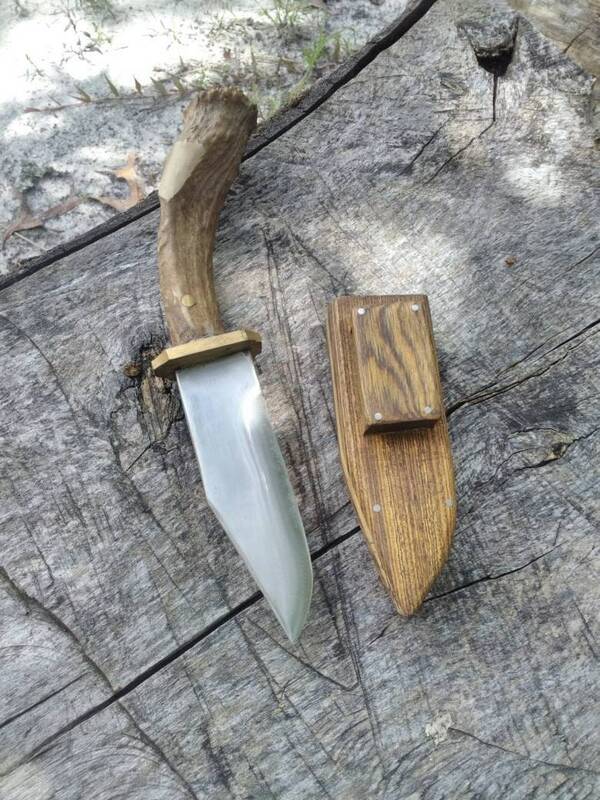 This is a hand forged knife made from 4140 stainless steel. 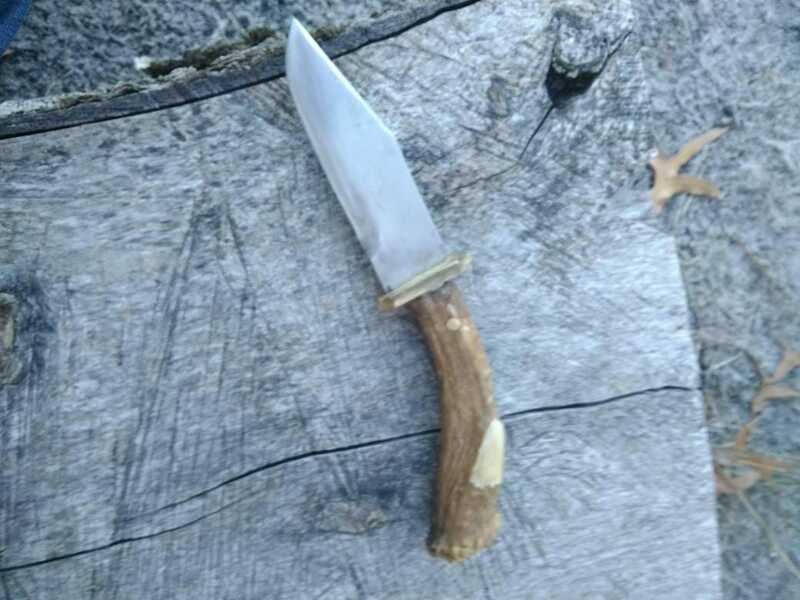 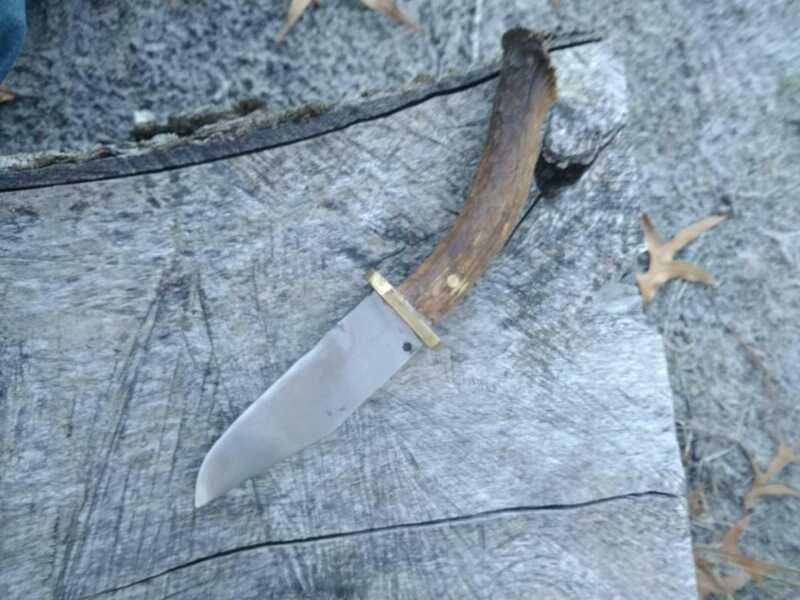 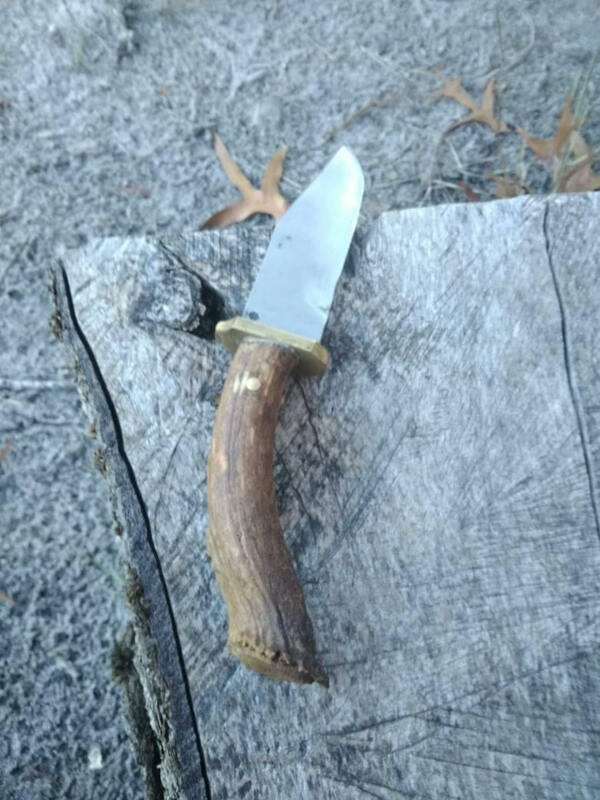 It has a brass guard and a deer antler handle. 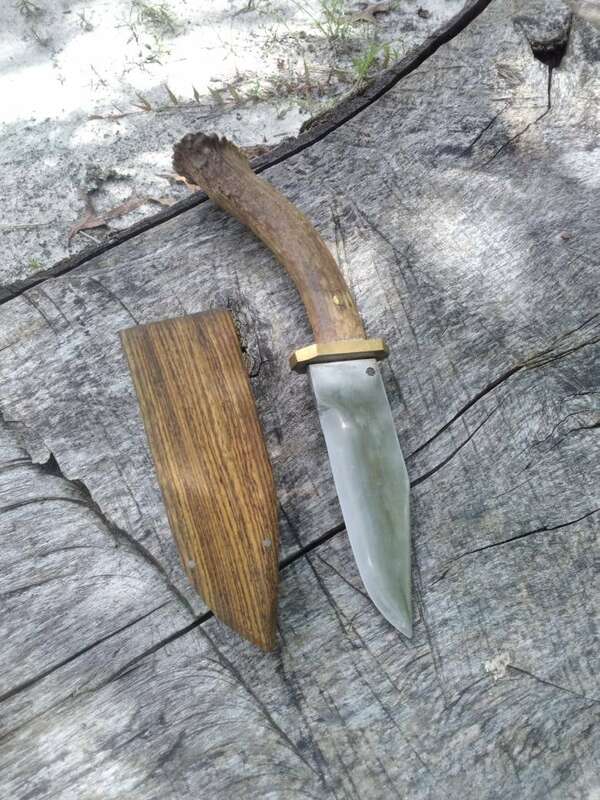 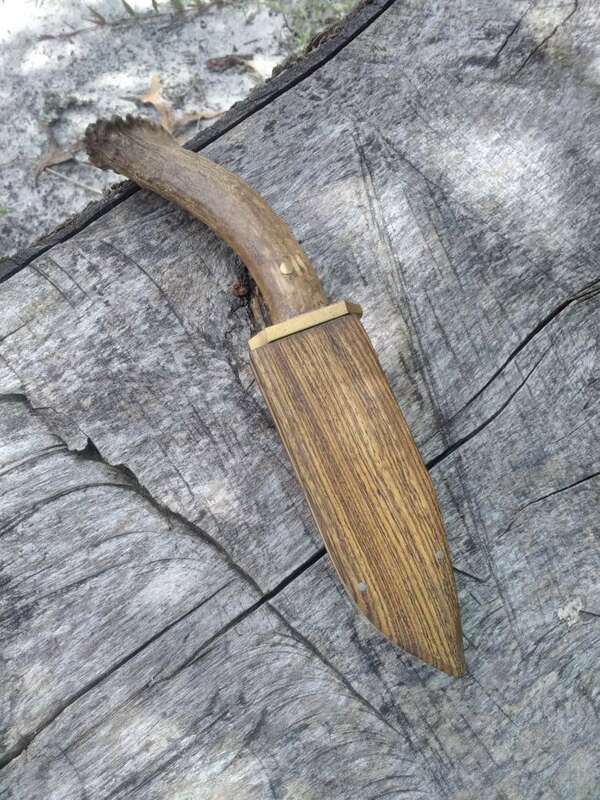 It also comes with a brown, Bison leather sheath.